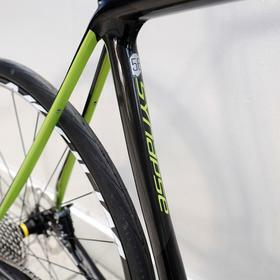 The shock absorbing properties of those super-skinny seat stays are especially effective in this carbon framed version of the Synapse. 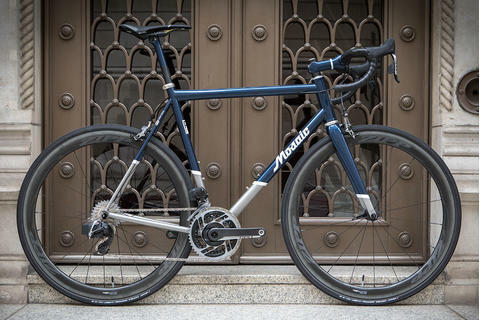 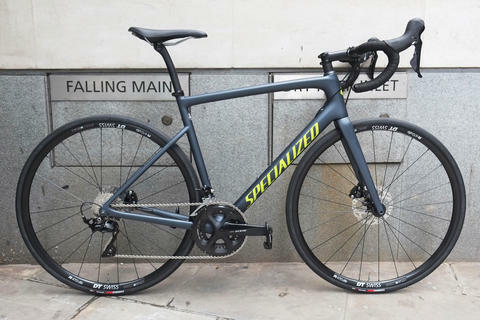 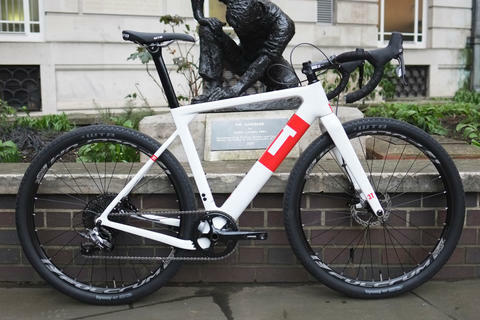 This is an endurance bike you can race on, with the reassurance and reliability of flat-mount disc brakes backed up with the stiffness of thru-axles. 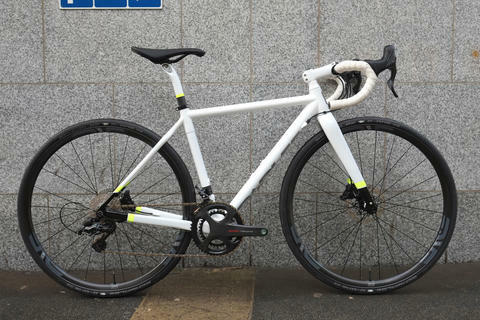 But it also takes up to 32mm wide tyres, is ready to accept a set of mudguards, and has the ride comfort you need for long days out. 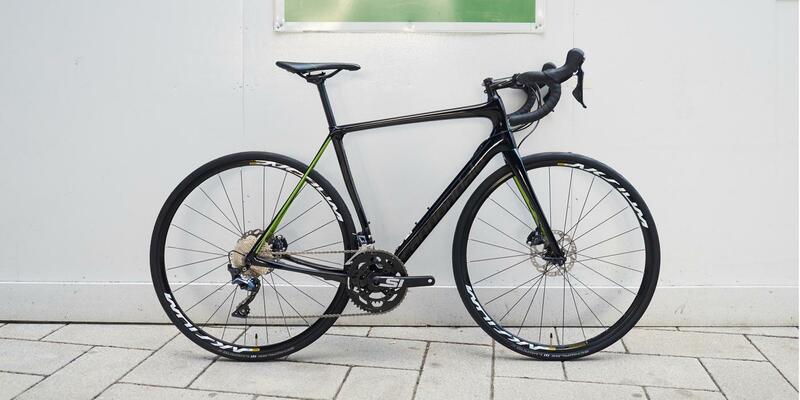 The contact points on this Ultegra model are largely Cannondale's own, and that's no bad thing, they've been doing this a long time and are the match of any of the comparably bigger brand names. 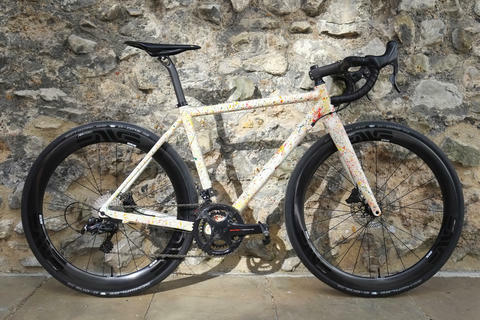 An Ultegra hydro disc groupset provides ultimate smoothness and predictability in all conditions, there's really no need for anything more unless you're looking to shave off every last gramme. 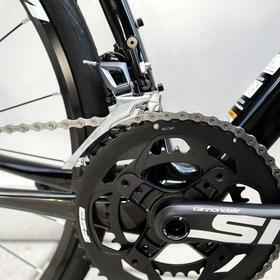 Cannondale's own-brand Si cranks are one of the few where we're happy to see them specced rather than Shimano's own, they're top performers. 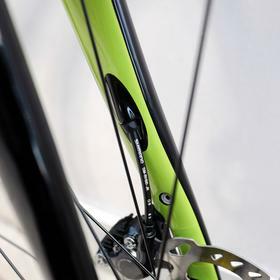 If only they were mated to a threaded BB, rather than the pressfit BB30 - maybe next year Cannondale? 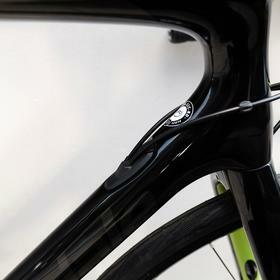 The only slight corner cut is with the Mavic Aksium wheels. 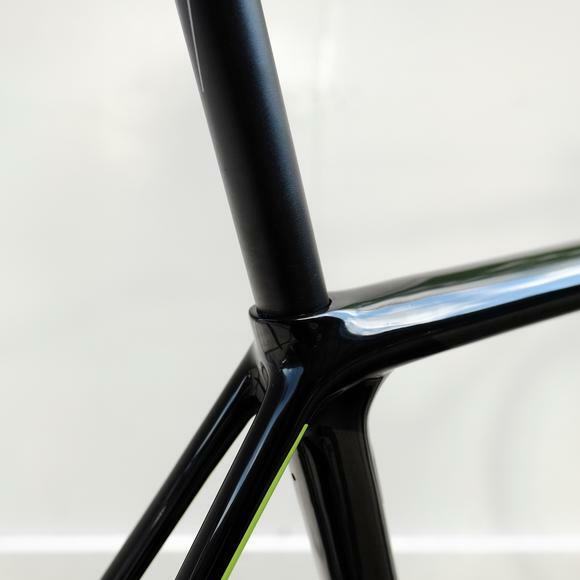 They're perfectly good performers for training and general riding, strong and reliable. 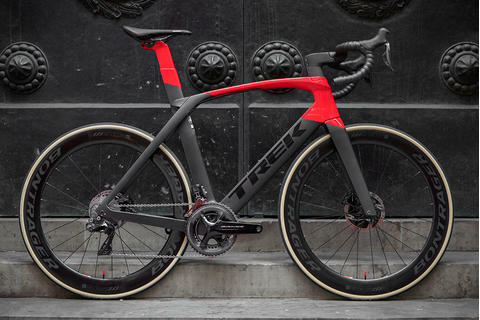 But if you're going to race they'd be the only thing we'd look to swap - something lighter will transform the bike and show it's true colours to their best advantage.